What World Cup? What Wimbledon? Aviation’s Own Grand Slam Event Is Starting On Monday In Farnborough, England. Although soccer’s most coveted trophy is not coming home to England this summer after all — it’s going to spend the next four years in France — thousands of aviation enthusiasts are making the trip here. This weekend they started descending on Farnborough, a midsize town about an hour southwest of London. Every two years, the airport here hosts one the largest airshows in the world, the Farnborough International Airshow, which is celebrating its 70th anniversary this year. GE has its place in Farnborough’s history, too. The company has been coming to Farnborough since it first opened its gates in 1948, and you could argue that some of its technologies have come close to stealing the show. In 1988, it helped send to the aviation festival one of the strangest aircraft ever to land here: a McDonnell Douglas plane powered by an engine that looked like an inside-out jet engine. The experimental “unducted turbofan” engine, called GE36, combined elements from jet and propeller engines and featured two sets of counter-rotating blades made from a carbon-fiber composite on the outside. 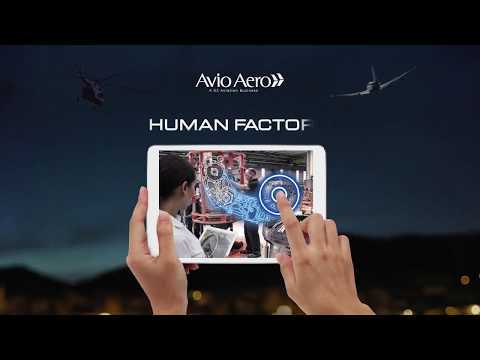 Of course, the European based GE Aviation business, Avio Aero, is attending the show too: joining the global team inside the typical chalet: the two story building at the show site used for meeting, flight displays and including an exhibit area. The GE90, and the GEnx are on display here this year, as is their cousin, the LEAP engine, developed by CFM International, a 50-50 joint venture between GE Aviation and Safran Aircraft Engines. The LEAP, which also features 3D-printed parts and components from other advanced materials, is the fastest-selling engine in aviation history. The technologies help make the engine 15 percent more fuel-efficient compared with its predecessor, the CFM56. This is important because fuel costs now represent about 24 percent of airlines’ overall costs. The company has received orders and commitments for 15,450 LEAP engines valued at more than $220 billion at list price. In fact, 75% of all new single-aisle aircraft being delivered today are powered by LEAP engines. As the company continues to ramp up engine production, it will build more than 1,100 LEAP engines this year a rate that is 3 times what it was just one year ago. Although CFM will ramp up production to more than 2,000 LEAP engines per year by 2020, the company says it will take seven years to work through the existing backlog. One of the aircraft models powered by CFM is Boeing’s new 737 MAX family, which exclusively use LEAP-1B engines. The MAX 8 and MAX 9 variants of the aircraft already carry passengers, and this year the company brought to Farnborough the MAX 7 jet, which will have the longest range of them all: up to 3,850 nautical miles, or 7,130 kilometers. This year, a Boeing 737 MAX 8 plane operated by Aerolinas Argentinas has started shuttling passengers between Buenos Aires and Punta Cana in the Dominican Republic, covering the 6,000-kilometer distance in 7 and a half hours. On all of these engines (as well as on many others built by Rolls Royce, Pratt & Whitney and Safran) the GE Aviation’s Italian born business, Avio Aero, has its share of technology, design and manufacturing for several engine components. Accessories and power transmissions, low pressure turbines, combustors and the cutting-edge metal 3D printing (aka additive manufacturing, available in the Cameri plant and shortly in the Brindisi one too) are specialties which allowed the company a 11% growth this year: with orders from third parties customers for $2.5B, Avio Aero technologies or components equip the 80% of the worldwide commercial fleet. But at the Farnborough Airshow you will surely find the upfront aviation research too: for example, throughout the presence of the most important European R&D platform for propulsion technologies and future architectures, Clean Sky. Last year at Le Bourget (the other international air show that happens in odd years alternating with the British one) just inside Clean Sky booth the new futuristic project by Airbus Helicopters was unveiled. Avio Aero is developing the transmissions technology for that aircraft and is within the Clean Sky platform since the very beginning. It’s definitively impossible to get bored this year in Farnborough: among ground displays, giant engines or airplanes, and amusing flight exhibitions… English will soon forget about the world cup, while foreigner visitors and aviation professionals are going to keep their eyes wide open!